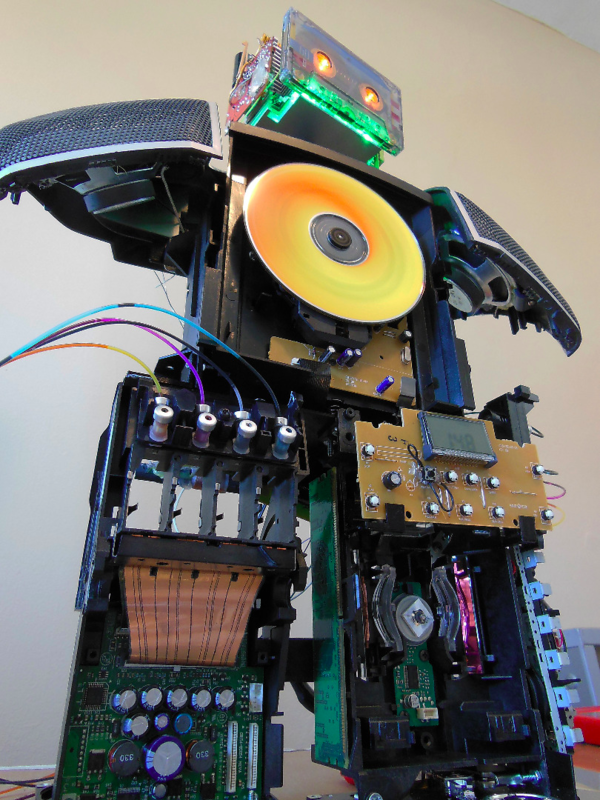 The Creation Of An Audio Junkbot #ArtTuesday « Adafruit Industries – Makers, hackers, artists, designers and engineers! I’m one of those people who keeps broken electronics because “I might use that for something one day”. Well, I had a broken cd/cassette/radio that someone gave to me because it kept turning off randomly. It turns out that the problem was just a bad solder joint on the circuit board. After pulling apart the radio I realized that these days we don’t have nearly as much use for these things as we used to since we use our phones for most of it, and if I put it back together and put it on the shelf it would likely just sit there for a really long time. I decided to disassemble it into its bare minimum of working components and put it back together with an entirely new form factor, but the same functionality. This way if I was going to put it on the shelf it could be a functional and decorative conversation piece. If, like I do, you enjoy seeing things, especially robots, made entirely from junk, then you might appreciate this endeavor. 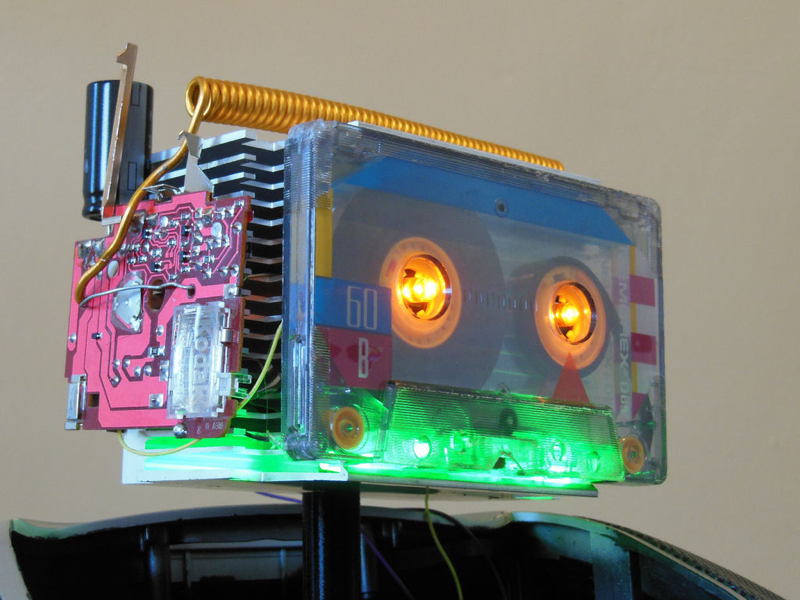 This is how I ended up with a robot that plays cd’s, cassettes, radio, or can be attached to your phone via aux cable.